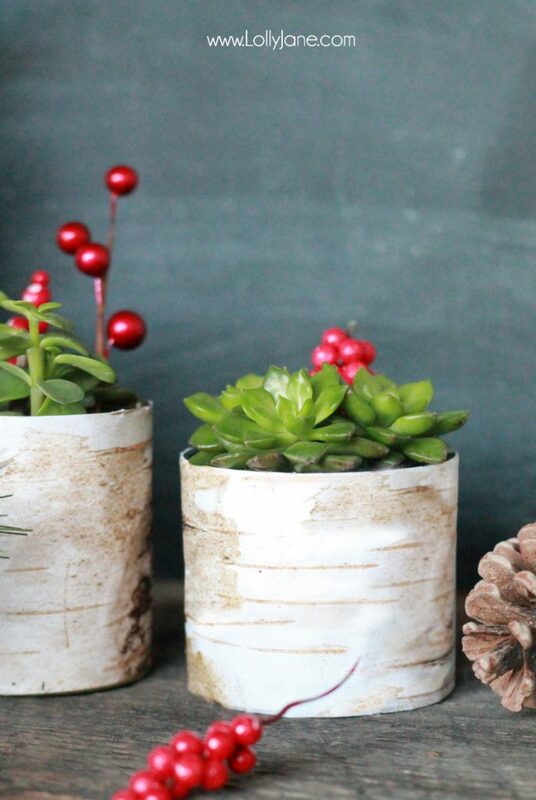 So you know our obsession with succulents and with birch wood being so trendy right now, we had to blend the two styles for a simple, yet festive look. 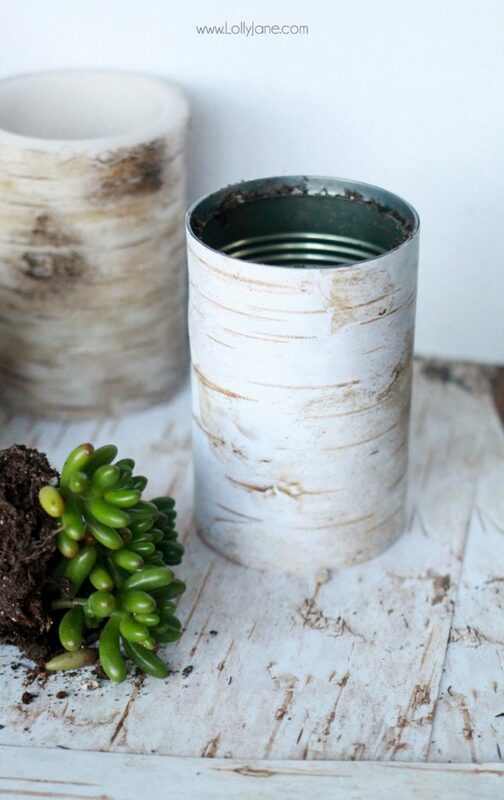 These birch wood tin can planters would be a great addition to your fall decor, Thanksgiving mantel and even Christmas decor mix. 1. 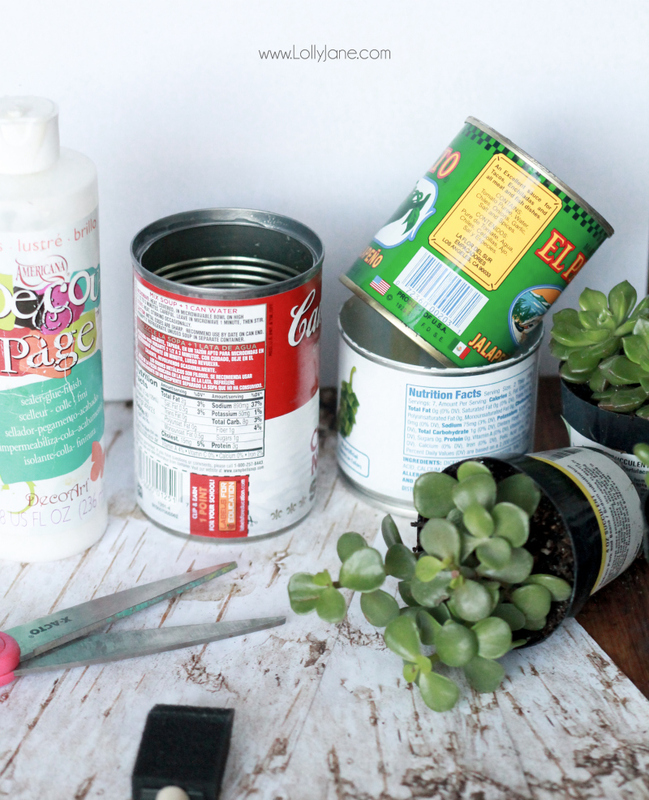 Measure the height of your tin cans and cut paper to size. 2. 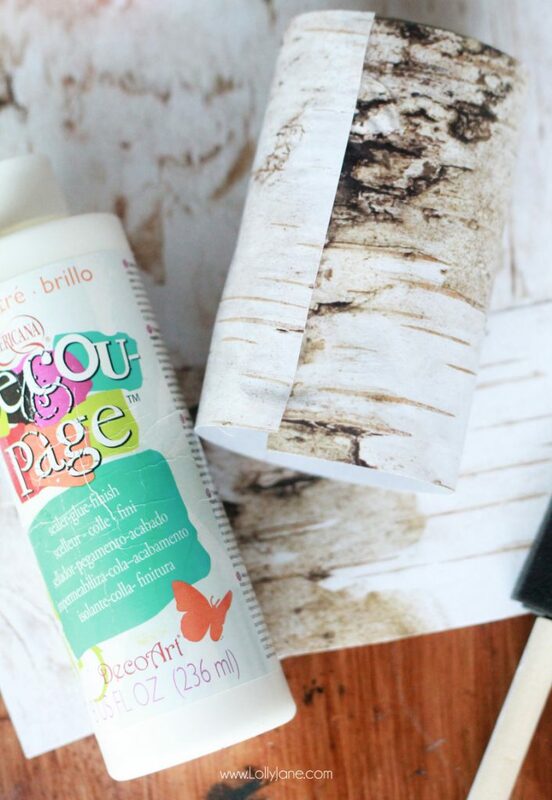 Apply a thin layer of decoupage around tin can, press paper over. 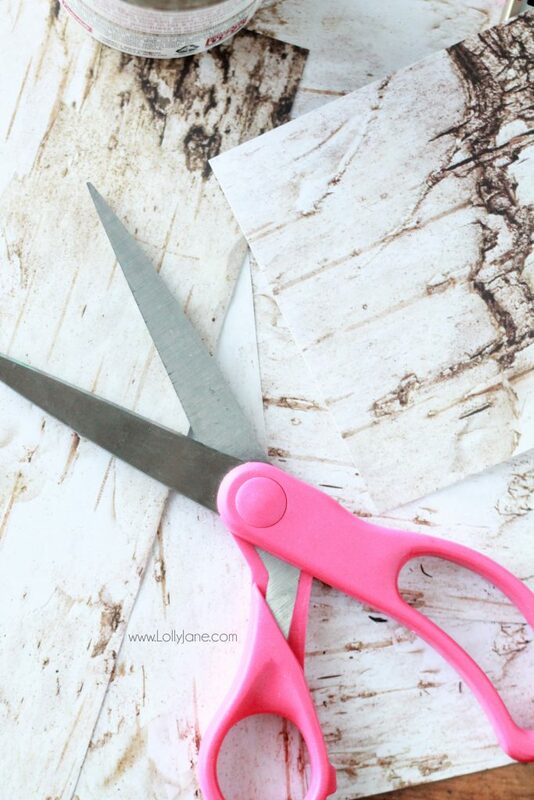 Apply edges with a thin layer of decoupage to seal. Trim as needed. 3. 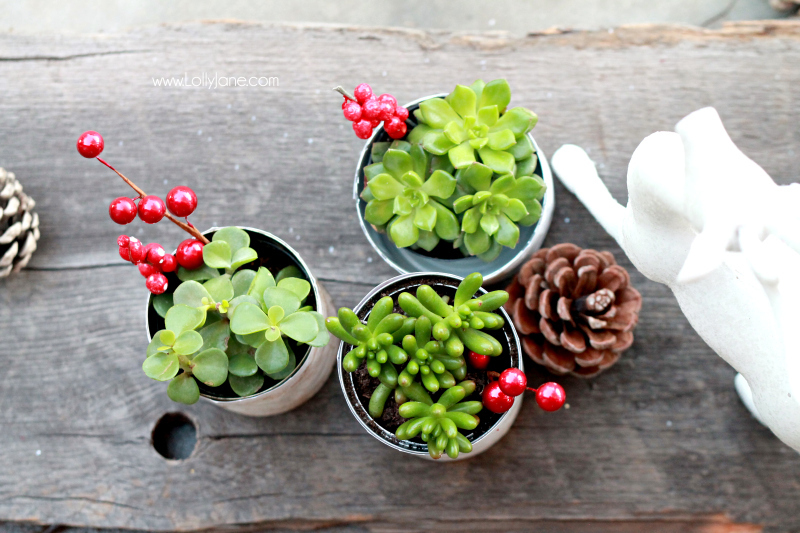 Depending on the size of your tin can, add soil before potting succulent. 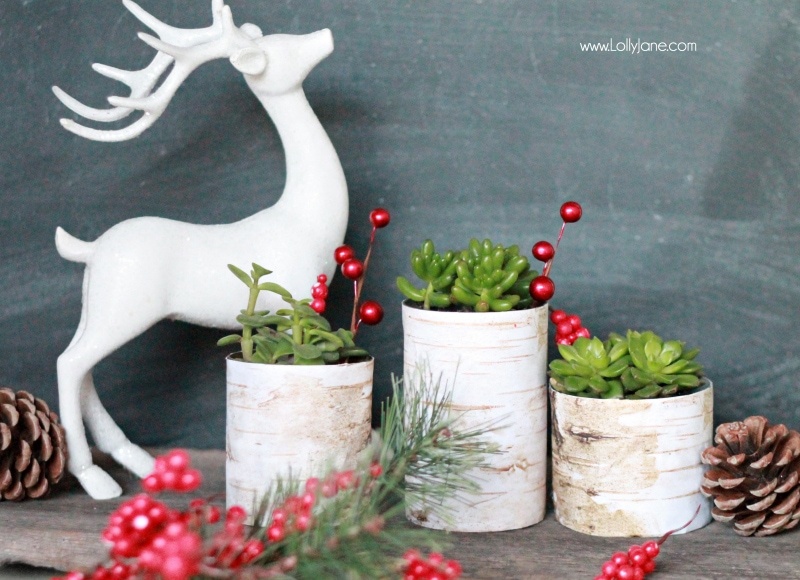 Note: If keeping the succulent in the tin can long term, poke holes in the bottom before potting to drain water… if you don’t let it drain, succulents will mold underneath the soil. 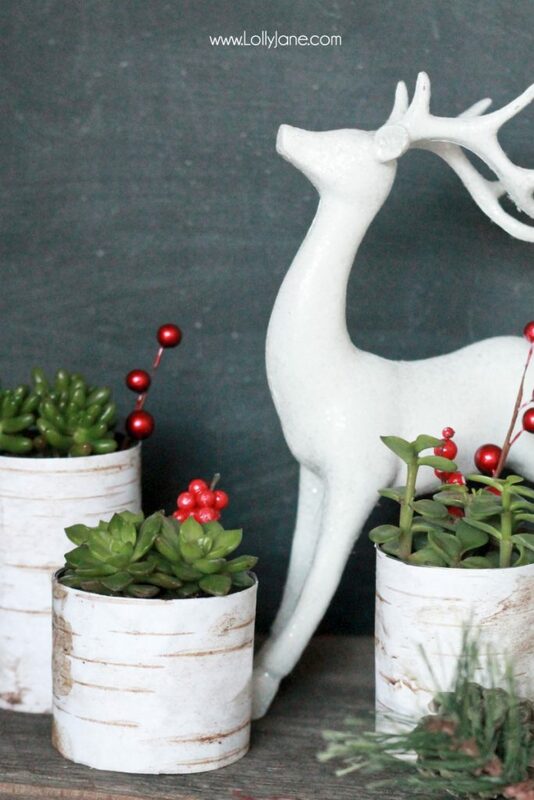 We added a few springs of berries to turn this year round decor into holiday decor! 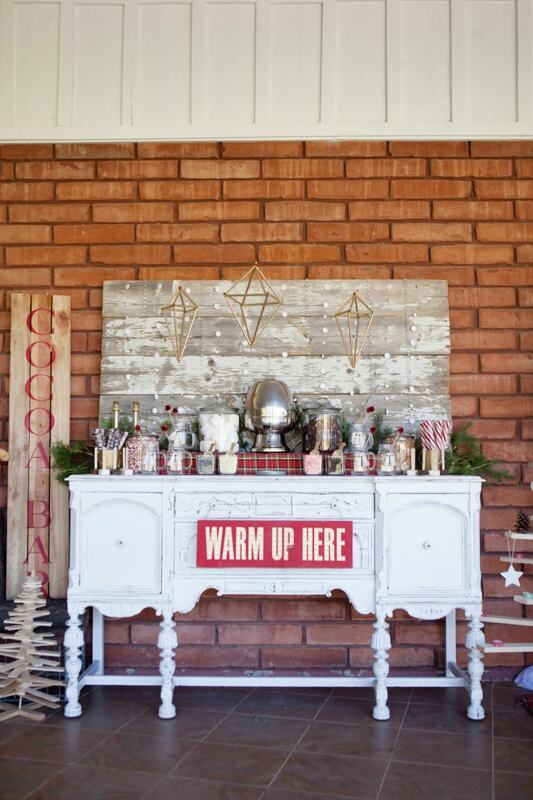 Sprinkle pinecones around to add to the rustic look. 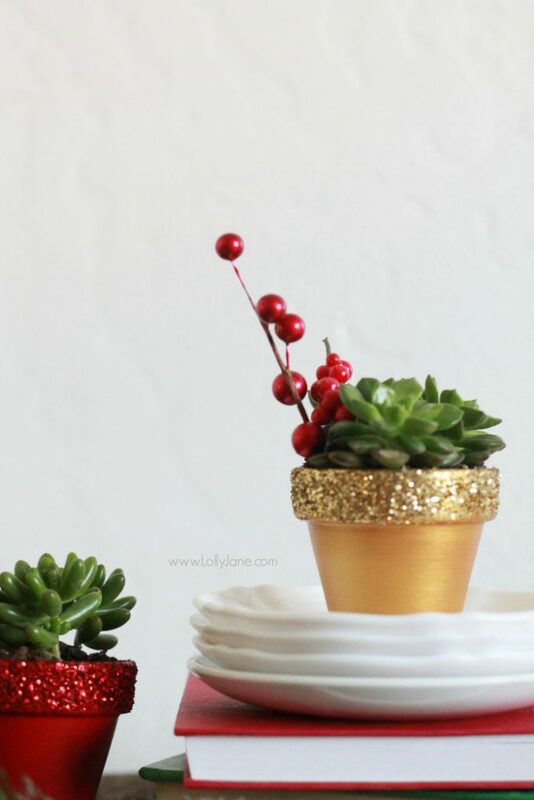 especially when you add some gold dipped glitter feathers and of course, succulents. Wouldn’t either of them be great handmade gifts?? 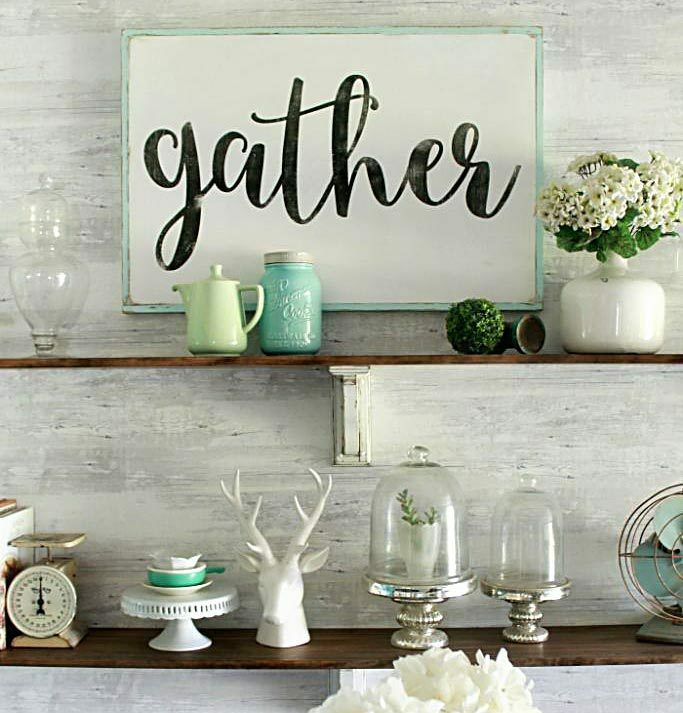 Please pin so your friends can upcycle these too! 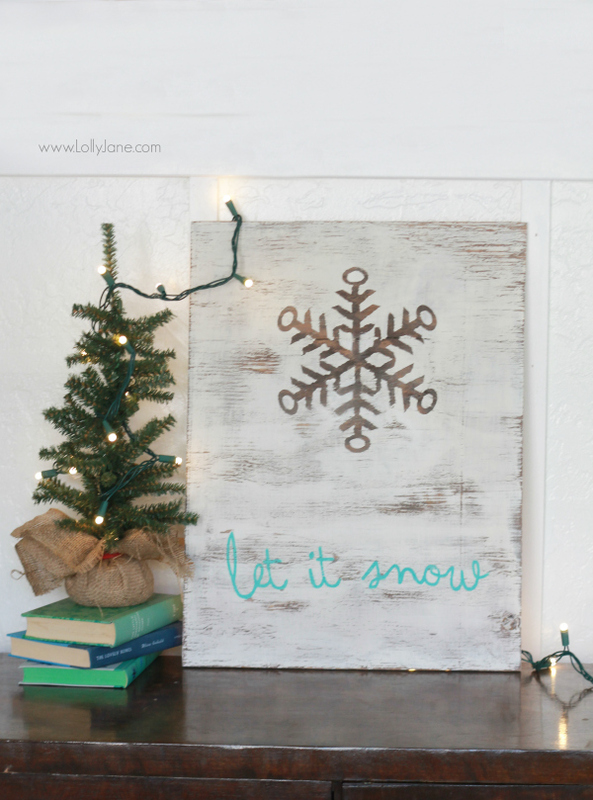 and our easy Let it Snow sign. 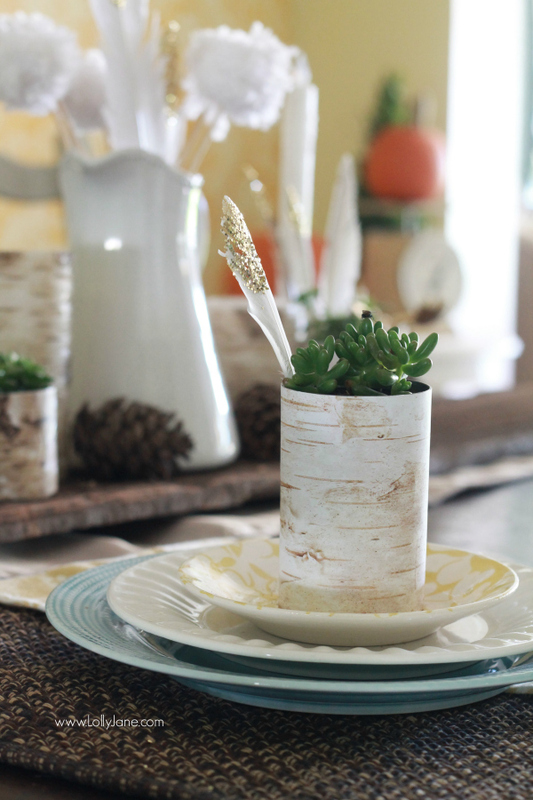 Also check out 6 tips to host a simple Thanksgiving dinner. Keep up with us on pinterest, instagram and Facebook for more sneak peeks of upcoming projects or to see the latest home decor trends.